This is the only note I have ever received or seen from PCGS in a Superb GEM NEW 68PPQ holder, other than a new modern colorized note. You never see any of their small size notes in a 68PPQ holder, unless its a new modern colorized note. 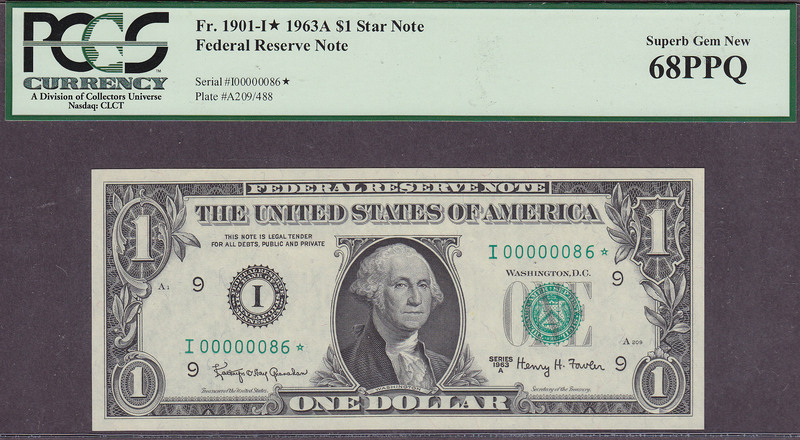 This is a 1963A $1 Federal Reserve Note. 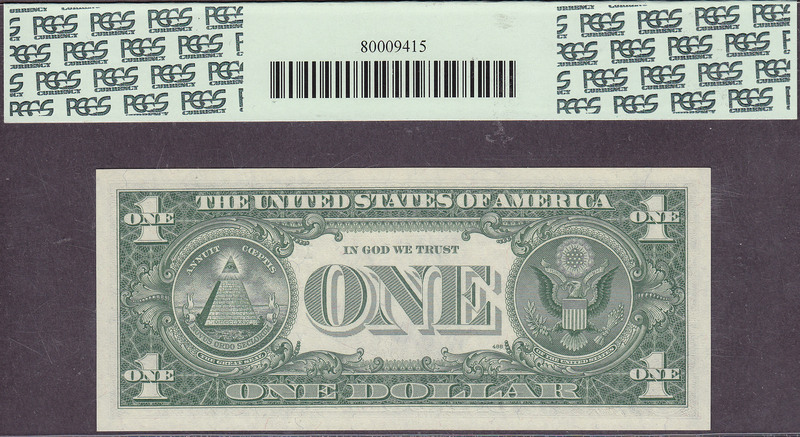 The low two-digit serial number is I00000086*. How cool is this?